As part of its concerted efforts to hold polluters accountable, New Jersey has filed Natural Resource Damage lawsuits for harm caused by DuPont facilities in Salem, Gloucester, Middlesex and Passaic counties. Two of the lawsuits involve contamination caused by polyfluoroalkyl substances, or PFAS, at facilities in Salem and Middlesex counties. New Jersey is taking a national leadership role in addressing contamination and public health concerns caused by PFAS, a class of chemicals that were widely used in a variety of commercial and industrial applications. 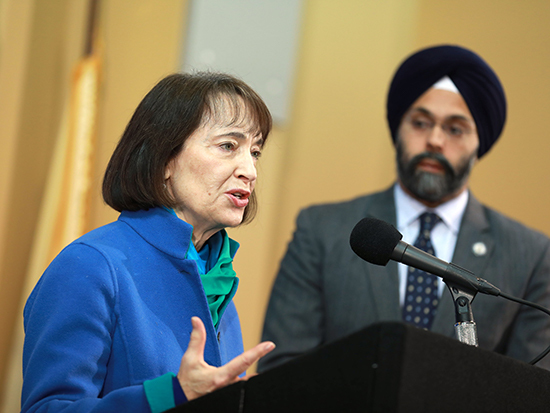 The lawsuits were announced by Commissioner Catherine R. McCabe and Attorney General Gurbir S. Grewal during a March 27 news conference in Totowa. Read more. Enter your e-mail address and we'll do the rest!